Joel Chodoroff is the founder of New Solution Entertainment and a veteran of the wedding/party circuit. By day, Joel is the Director of Bands at Holicong Middle School (Central Bucks School District) where he teams up with NSE musical director Jim Glaser to create a vibrant and thriving music program. However, Joel has always had a passion for drumming and performing. 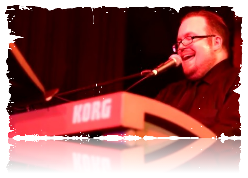 While playing with The James Renaldo Orchestra, Dave Gustafson and the All-Love Orchestra, and The John Johnson Quartet, Joel had the opportunity to perform at most of the major hotels, casinos and "party venues" in the Tri-State area. 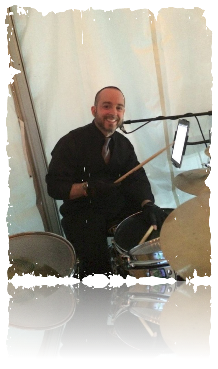 As a member of local rock band The Mango Men, Joel averaged 70 performances a year with the highlight coming when he opened up for LeAnn Rimes, Sammy Hagar, Keith Urban and Kenny Chesney at The PNC Arts Center in Holmdel, NJ, and Lincoln Financial Field. Through all of the gigs, however, forming his own party and event band has always been a goal, and that is why Joel is very excited to bring NSE to you. Please feel free to contact Joel for booking/pricing information. 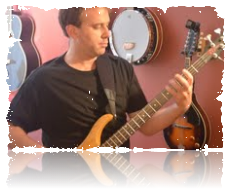 Jim Glaser has been singing and playing professionally in many musical genres for almost 20 years. When he arrived at Penn State in the Fall of 1995 to study trombone, little did he know that very shortly the trombone would take a back seat as he would become one of the most in demand keyboard players on the State College music scene, performing in traditional and contemporary jazz groups, big bands and wedding bands, and the occasional gig with bar bands like the legendary Screaming Ducks. As a keyboardist over the years, Glaser has performed with many jazz luminaries, including Tim Warfield, George Rabbai, and Conrad Herwig. He also was a regular member of the Dan Yoder quartet, including an appearance as a guest artist with the Altoona Symphony Orchestra. After graduating from Penn State, Glaser became a musician-educator in the Central Bucks School District, teaching choir at Holicong Middle School. Being a choir teacher has brought back the love of singing that he has as a child, helping him to become comfortable and experienced in performing a wide variety of vocal styles and ranges. Sarah Strohl is a powerhouse vocalist with years of experience performing in the area. Her solo spots have become one of the highlights of the annual Save The Music Benefit Concert, and she has also recorded/performed with Joel and The Mango Men in 2008. Her strong vocals and infectious enthusiasm will surely get any party going and keep it in high gear from start to finish! 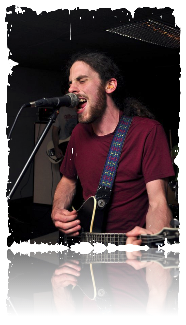 Sean Kelly has been part of the Philadelphia rock n' roll scene for over 7 years, and has been a long time member and founder of the band The Revere, with whom he has toured throughout many of the cities in the great northeast. Sean is also a guitar and vocal teacher through such places as the School of Rock, where he guides young people to succeed in performing and discovering the great musician that lives inside of them. Ian Sanchez has been in the music profession for nearly 20 years. Some highlights of his career include performances at the White House and with the Detroit Symphony Orchestra, compositions commissioned by the Greater Rochester (NY) Visitor Association, Illinois Philharmonic Orchestra, Success For All Foundation, National Audubon Society, and numerous secondary and collegiate a cappella groups. A graduate of the Eastman School of Music, his interests, experiences, and talents span a variety of genres, ranging from children's music, vocal jazz, classical, theatre, a cappella, classic rock to pop. As both a performer and a middle school choral director in the Central Bucks School District, Ian loves sharing his passion for music with others and is thrilled to pump up the bass with New Solution Entertainment. 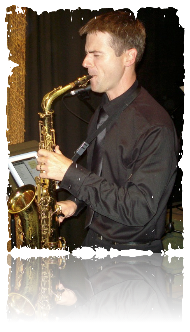 Mike Robinson has been performing on the saxophone or teaching music for the past 15 years. With a degree in music performance and music education from Lebanon Valley College and a master's in music education from Duquesne University, Mike landed a teaching position starting a high school band program at Central Bucks South High School in Warrington, Pa. Mike's passionate and energizing sounds on the saxophone have been heard at the annual VH1 Save the Music Benefit Concert as well as with the faculty jazz band of Central Bucks School District. Mike is very excited to be playing with the HIGHLY talented and energetic New Solution Entertainment! Michael Feher is a recent graduate of Bloomsburg University with a degree is Audio Recording. He has recorded numerous performances of university ensembles, and has also played in many of those same groups. 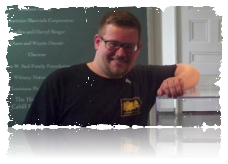 Michael is currently on the marching band staff of Central Bucks East High School and teaches trumpet lessons in and around Bucks County.